University Medicine Goettingen – Georg August University. National Trauma Center in the DGU Trauma Network, SAV Clinic • Serious Injury Treatment of the German Association of Occupational Accident Insurance Funds, Department of Trauma Surgery, Orthopedics and Plastic Surgery. Prof. Wolfgang Lehmann is a specialist in surgery and in orthopedics and trauma surgery with additional qualifications in the fields of special trauma surgery, sports medicine and emergency medicine. He also possesses the Master's Certificate for Spinal Surgery awarded by the German Spinal Association (DWG). Prof. Lehmann specializes in disorders of the axial skeleton, that is, the pelvis and the spinal column. His particular emphases are injuries to the pelvis, the acetabulum and the hips. This also includes revision procedures following previous treatment. Within the scope of spinal surgery, Prof. Lehmann treats all injuries to the cervical, thoracic and lumbar spinal column. In addition, he also specializes in the surgical treatment of age-related and degenerative changes to the spinal column such as spinal disc herniation, spinal canal stenosis and osteoarthritis of the spinal column. Prof. Lehmann’s range of services also includes inflammatory conditions of the spinal column such as spondylodiskitis (inflammation of the intervertebral disks) and spondylitis (inflammation of the vertebrae), as well as tumor conditions of the spinal column. 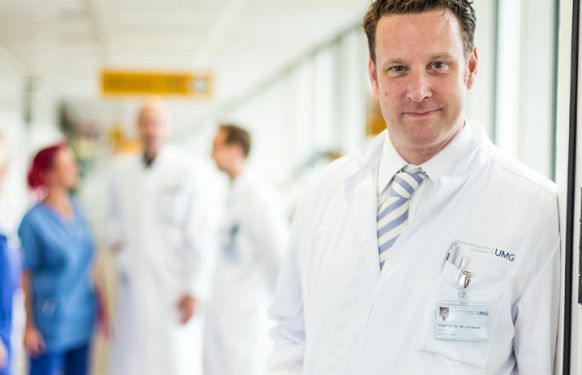 As its Director, Prof. Lehmann heads the Department of Trauma Surgery, Orthopedics and Plastic Surgery of University Medicine Goettingen at the Georg August University. Previously, he was employed in the Department of Trauma, Hand and Reconstructive Surgery of the Hamburg-Eppendorf University Hospital, initially as Chief Resident and later as the Principal Consultant and deputy Clinical Director. The Department of Trauma Surgery, Orthopedics and Plastic Surgery of University Medicine Goettingen is one of the largest centers for the treatment of injuries and conditions of the musculoskeletal system in Germany. Hence, under the direction of Prof. Lehmann, patients of all ages are treated for acute injuries and degenerative conditions, as well as for post traumatic changes, in particular, in the spinal column and the large joints. The service portfolio of the University Department of Trauma Surgery, Orthopedics and Plastic Surgery in Goettingen also includes rheumatic conditions and tumor conditions of the musculoskeletal system. All told, under the direction of Prof. Lehman, the team of the Department of Trauma Surgery, Orthopedics and Plastic Surgery, consisting of 48 physicians and over 115 nurses, treats more than 5000 in-patients and around 30,000 out-patients each year. 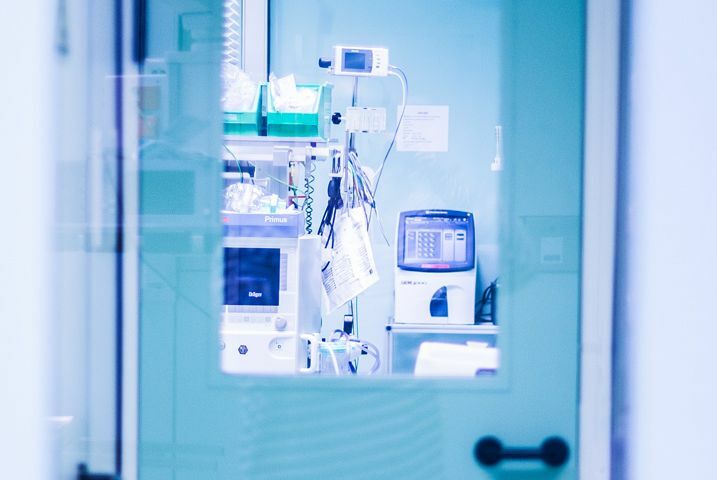 In addition, as a certified National Trauma Centre, the team under Prof. Lehman treats around 900 severely injured patients each year, of whom more than 300 patients have life-threatening injuries. In the Department's emergency trauma rooms, these severely injured patients are treated by an interdisciplinary medical and nursing team. Together with trauma surgery, the specialist medical fields represented include anesthesiology, radiology, neurosurgery and general surgery. Further emphases of the Goettingen University Department of Trauma Surgery, Orthopedics and Plastic Surgery include pediatric orthopedics, pediatric traumatology, endoprosthetics, pelvis and hip surgery, hand and foot surgery, knee, shoulder and sports traumatology as well as orthobionics. In order to be able to provide our patients with the optimal therapy in tumor surgery, we have the option of discussing all of our cases individually with all colleagues involved in the treatment in the tumor boards of University Medicine Goettingen.